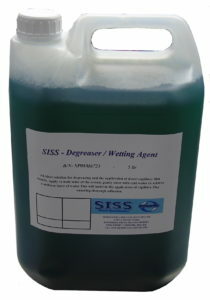 SISS offer the widest range of Screen Printing consumables, we manufacture our own range of pre-press products i.e. 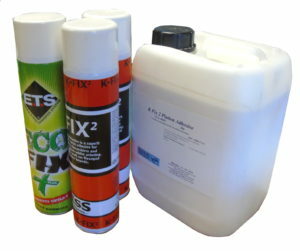 screen cleaners, chemicals and emulsions. We complement our own range with products from some of the largest manufacturers in the marketplace. Uniquely we are able to blend pre-press products to meet your requirements, coupled with our ink matching service we have the capability to meet the most demanding of requirements. 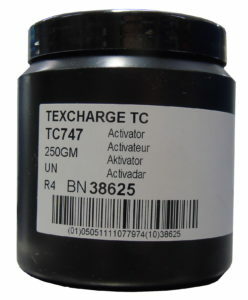 Looking for a high performing Emulsion. Or an emulsion which works best with DTS? 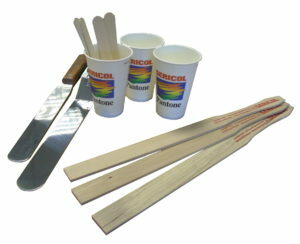 Are you an industrial printer looking for Capillary Film? Looking for Mesh Preparation Products? 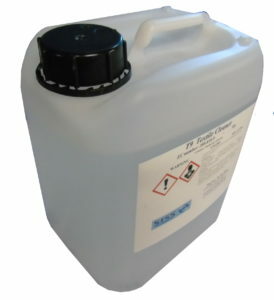 We manufacture our own effective range of degreasers and wetting agents available in ready for use or concentrate formats. 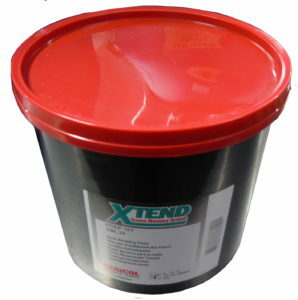 We also stock the popular Sericol Xtend including Sericol Universal mesh Prep (ABU70) and Macdermid Autotype ranges. Needing effective screen cleaning products? We manufacture our own range of Screenwashes including the new Autowash (part of our Auto clean range) product which is especially formulated for Automatic Washing Machines. 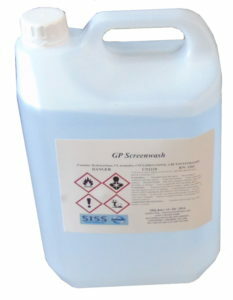 Our screenwash range includes GP (General Purpose), LF screenwash (low odour, not as strong as GP – but great for 2 pack inks), KC Safewash (VOC free / Biodegradable), SISS Safewash NE GEL Screenwash (more containable, hazard free and you can leave on the screen). 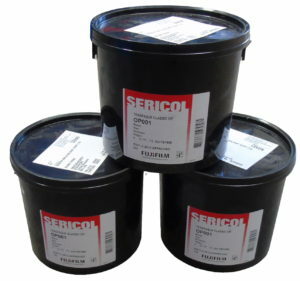 We also sell Sericol screenwash including ZT639. 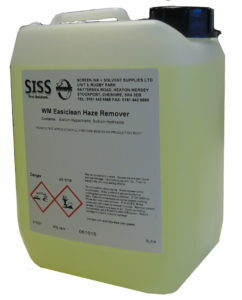 Our range of Ghost / Haze removers are proven and effective. Our range includes the new Autostrip (part of our auto clean range) product which is especially formulated for automatic washing machines. Are you a Textile Printer thinking of moving over to Waterbased Inks? Or looking for Paper Inks? We are distributors of Magna Colour waterbased range which is designed to meet the requirements of the commercial printers and to meet strict ECO standards. 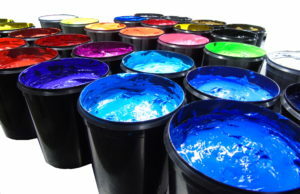 We offer the largest range of Waterbased inks and specialist additives including Magna Colour, Sericol, Permaset Permaprint, Permaset Supercover, Permaset Permatone and WPS Waterbased ranges including the high opacity WPS Superflex range and WPS Paper Art ranges. 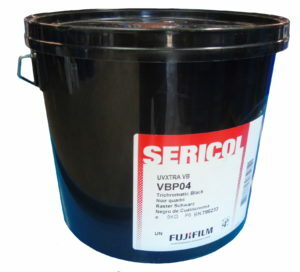 We are distributors of Sericol Texopaque Classic, Sericol Texopaque, WPS and Union / Rutland inks. 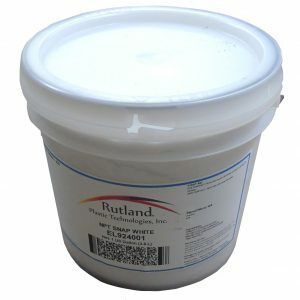 We sell the Rutland and Sericol PVC free, mixing free, high opacity range of ECO friendly inks. Whatever the substrate you use we will have an ink to print onto it. Click here to see our online range. We sell the high performing Chromaline range of positive paper and films which is available in cut sheet or rolls depending on your requirements. 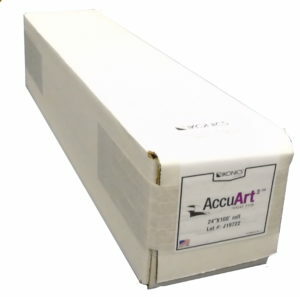 We stock papers suitable for either ink jet or laser printers. If you are using a laser printer to create your screen positives and need an opaque image then we recommend Folex Folatoner Density Spray. 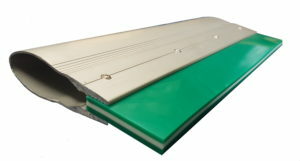 Time to replace your squeegee blade? 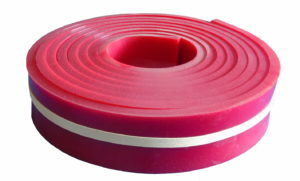 We stock a wide range of types and sizes of squeegee blade, we use high performance blade which can be used for both manual and automatic operation. 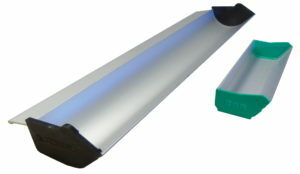 We sell readymade squeegees to meet any size requirement, premium and essential aluminium handles available. 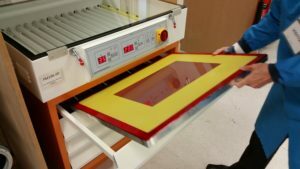 Need new screens or time to restretch your old screens? We offer a complete screen stretching service, using only high quality SAATI / SEFAR / Extris / NBC mesh we are able to meet the highest requirements. 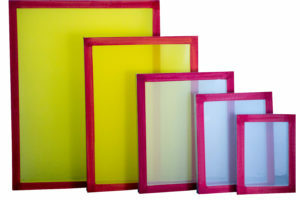 We do keep popular ready stretched screens in stock for quick despatch. Need high quality papers and release powder? 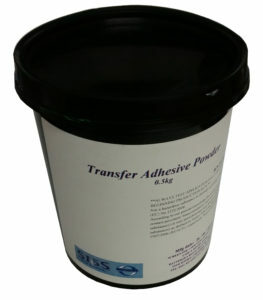 We stock different types of powder suitable for both manual and automatic application.